While most home’s foundations will settle over time, additional factors such as soil erosion and tree roots can compound these problems and cause severe foundation damage. When this damage becomes significant enough it can cause cracking in your home’s walls and ceiling, and it can begin to negatively impact the structure of your home. 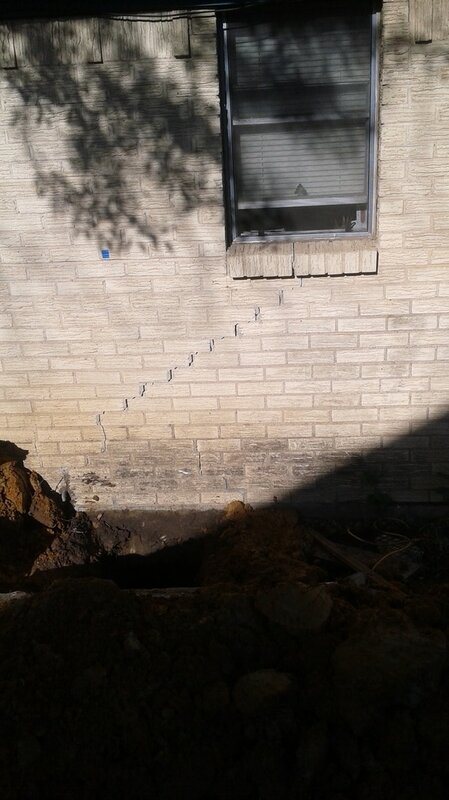 When this happens, it is important to hire a qualified house leveling contractor to level your house. Yet, how will you know when your home’s foundation needs to be leveled? Here are a few of the signs you can look out for in your home indicating that your home may need to be leveled. In addition to cracks in your walls, another common sign of foundation problems that you can look out for is sticking windows and doors. If you are suddenly having problems opening the windows and doors in your home, this could be a sign that your foundation is uneven and that your home is no longer level, which is making it difficult to use your windows and doors. Thusly, if you are having issues with sticking windows and doors in your home, you should consider contacting a foundation specialist. Another common sign of foundation problems is chimney damage. If your chimney shares a foundation with the rest of your home, then damage to your home’s foundation could result in an unstable chimney. If your chimney is leaning or has severe cracking, this is likely a sign of foundation damage. If you suspect foundation damage in your home, you should also check to see if your floors are uneven. If your floors were once even but suddenly seem to slant, or there are hills in your flooring, you likely have foundation damage. If you are unsure whether or not your floors are level you can purchase a cheap level from your hardware store, or you could even place a marble on your floor and see if it rolls dramatically as if it is on a hill. Contact us to learn more about how you can tell if you have foundation damage in your home as well as to schedule a foundation inspection. If upon inspecting the exterior of your home you notice that there are noticeable cracks in your slab foundation, then you may be wondering whether or not you have foundation damage. While many homeowners may be quick to dismiss these cracks as signs of their home settling, it is important that you determine whether or not you may have foundation damage so that you can have the damage repaired before it gets worse. Fortunately, there are signs you can look for throughout your home which would indicate foundation damage. Here is a quick overview of the most common signs of foundation damage. 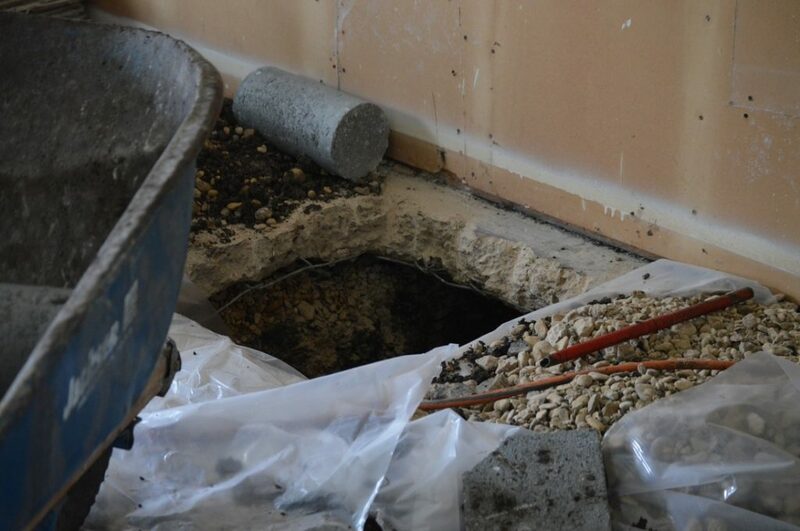 A clear sign of foundation damage is if you notice cracking or bowing in any of your interior or exterior walls. This is usually indicative of your foundation shifting which is putting pressure on the structure of your house, resulting in this damage. Over time, foundation damage can affect the structure of your home, making it important that you have your foundation inspected if you discover this kind of wall damage in your home. If foundation damage continues to affect the structure of your home, this can also cause your doors and windows to no longer hang properly. You may then notice that there are large gaps in your door frames, and you may even find that you suddenly have a hard time closing your windows and doors all of a sudden. This usually indicates severe foundation damage that will need immediate repair. Another clear sign of foundation damage is sagging or uneven flooring. Assuming your floors were once level, you should not suddenly notice slopes or hills in your flooring. However, if walking across a room is now like walking across uneven terrain outside, then this is a clear indicator that you have serious foundation problems that will need to be repaired as soon as possible. Ultimately, if you have a suspicion that you may have foundation damage, it is best to have your foundation professionally inspected, and if necessary, repaired. Even if you are unsure if there is damage, having your foundation inspected will be in your best interest as catching the damage early can save you time and money in the long-run. Contact us to learn more about how you can tell if you have foundation damage as well as to schedule an inspection.